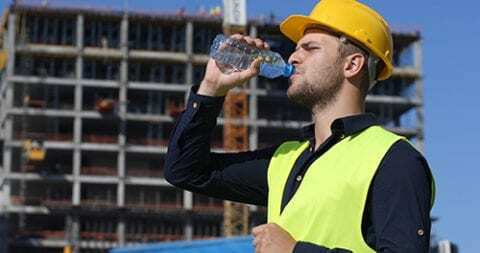 Staying hydrated on the job site is very important, but there are disadvantages of drinking too much water, which is why it’s crucial for crew members to understand the dangers of hyponatremia. Hyponatremia, also known as water poisoning or water intoxication, occurs when someone drinks too much water in a short period of time, diluting the amount of sodium in the bloodstream. Sodium plays a key role in helping your body manage normal blood pressure and fluid balance, while also supporting the work of your nerves and muscles. NOTE: Drinking more water than your kidneys can get rid of via urine essentially causes your body’s water levels to rise and cells to swell. The kidneys can process up to 7 gallons (28 liters) of fluid per day, but they can’t excrete more than 1 liter per hour. In severe cases, seizures, brain damage and a coma can occur. Workers with poor diets, low physical fitness levels, underlying health conditions and who work in hot and humid conditions are especially susceptible to this condition, which can prove fatal if not properly addressed. Specific drugs: Thiazide diuretics, certain antidepressants and pain medications can increase your risk of hyponatremia. The recreational drug ecstasy has been linked to fatal cases of hyponatremia. Health conditions: Conditions that could increase your risk of hyponatremia include kidney disease and heart failure. Strenuous physical activities: People who drink heavy amounts of water for marathons, triathlons and other intense activities are at an increased risk of hyponatremia. In an effort to avoid hyponatremia, you can monitor your urine to gauge hydration levels. Typically, if your urine is dark, you’re likely dehydrated. If your urine is continually clear, you’re likely hydrated and shouldn’t drink an excess of water. Ultimately, it’s important to drink water in moderation. A good rule of thumb is to consume the same amount of fluid you lose (around 7 ounces every 20 minutes). 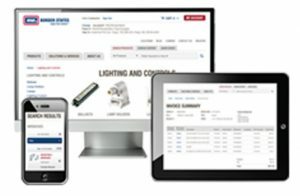 This blog post was drafted in partnership with Sqwincher.